This past week Cisco Brewers held the third annual Trashion Show followed by three days of Hurricane Chris surfing. Hop in to catch up with what our Nantucket summer interns were doing this week. As the beaches slowly began to clear after a beautiful Nantucket day, Cisco Brewers filled up in anticipation for The Cisco Trashion Show. Designers and models teamed up to create outfits using the trash that was found during the beach cleanup around the island. The premise of the annual show was to promote sustainability on Nantucket. Hosts Rick and Holly narrated the show while several locals modeled different outfits ranging from a plastic straw dress to a bikini made from beer cans. Before the show we got a chance to go backstage to meet David Portnoy, the founder of Barstool, who would sport a pair of our OG Jupiter boardshorts on the runway.  We spoke with him briefly and shared why we have dedicated our summer to repping Fair Harbor. After a successful day at the Trashion show, the surfing community across the island went quiet that night with anticipation of the swell of the summer coming the next day. As the sun rose early Wednesday morning, many were disappointed. While the swell was there, the massive waves that were anticipated had not arrived yet. After a fun morning session and a quick two hour trunk show at the Nantucket Surf Club, we headed back to the beach to check if the conditions were looking up. As we pulled up to our favorite spot, the distinct booming of the waves crashing grew increasingly louder with every minute we stood outside. The swell was no longer below average, but it had grown to a hefty 6 to 8 feet with ten foot faces. Beaches across the south shore were closed, but even the life guards knew they couldn’t stop the surfers from missing out on this rare event. Hurricane season had come early this year and many had the best waves of their lives.